Bitcoin and other cryptocurrencies are gaining traction as a source of funding for terrorist groups, such as the self-proclaimed Islamic State. Counterterrorism policies should respond accordingly. Blog posts represent the views of CFR fellows and staff and not those of CFR, which takes no institutional positions. Olivia McCoy is an intern in the Center for Preventive Action at the Council on Foreign Relations. 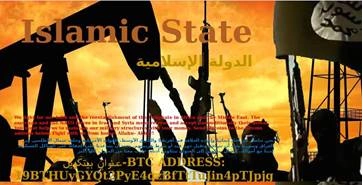 Bitcoin and other cryptocurrencies—virtual money—are gaining traction as a source of funding for terrorist groups, such as the self-proclaimed Islamic State. In January 2017, Islamist militants in Indonesia funded for terrorist activities with money received through Bitcoin, which is currently the most popular cryptocurrency. This was not an isolated incident: the Mujahideen Shura Council—active in the Gaza Strip and considered a foreign terrorist organization by the United States since 2014—also launched a Bitcoin campaign last year, inviting supporters to donate money for the purchase of weapons. Terrorists are beginning to explore the use of cryptocurrencies, and counterterrorism policies should respond accordingly. Cryptocurrencies are increasing in popularity because of the anonymity afforded to both sender and recipient. In other words, it is extremely challenging to trace who is sending money to whom and for what purpose. Ironically, there is a completely public ledger, Blockchain, which records every Bitcoin transaction; however, the ledger retains users’ anonymity. Considered by some as “the new frontier in terrorism fundraising,” the use of Bitcoin in particular has grown exponentially over the last eight years, increasing from an average of 100 daily transactions in 2009 to 282,000 in 2017 thus far. Prior to the invention of cryptocurrencies, there was another method used to transfer money anonymously that remains active today: the hawala network. For the past couple of decades, foreign donations to terrorist organizations have been delivered by way of hawala (Arabic for “transfer”) networks, which provide anonymity for cash transfers and donations. Individuals or groups who want to donate to a terrorist organization pass money through a local hawala broker in their country, who also charges a broker fee. Another broker in the destination country then delivers the money to the intended recipient. In addition to being used for donations, hawala networks allow terrorist groups to transfer their own funds or resources from one location to another. Cryptocurrency and hawala transfers can both be used for legitimate purposes, but their anonymity and decentralized nature make them appealing for financing illicit activities. Long-standing hawala networks are trusted ways to move money, but the convenience, direct transfers, and near instantaneous transactions make Bitcoin far more alluring to nefarious actors. Recent improvements to Bitcoin’s anonymity may further encourage illicit activity. Some of the original Bitcoin wallets allowed partial anonymity, but transactions could still be traced. In the past few years, companies such as Samurai, BitcoinFog, and DarkWallet have focused on producing a Bitcoin wallet that provides complete anonymity and makes the transactions virtually untraceable. These “dark wallets” could become major resources in terror finance, posing a serious hurdle to governments in stopping terrorists’ cash flows. Bitcoin is becoming more mainstream. For example, companies such as Microsoft, Expedia, and Subway now accept Bitcoin as payment. As cryptocurrency becomes more well-known, it may play a greater role in terror finance—in 2015, the Islamic State allegedly posted its Bitcoin address on the dark web so that individuals could send money, and in June 2015, a Virginia teen was arrested after tweeting instructions on how to donate Bitcoin to the Islamic State. Some argue that, regardless of improved technology, Bitcoin donations will continue to have little impact on terrorists’ revenue because most groups fund their operations primarily through a combination of charities, extortion, taxing the territory they control, or state sponsorship. As groups like the Islamic State lose territory in Iraq and Syria, however, they will be forced to find alternatives and focus on generating more foreign investment from individuals or front charities—payments that cryptocurrencies are well-suited to facilitate. Deterring terrorism financing continues to be a top counterterrorism priority in the United States. 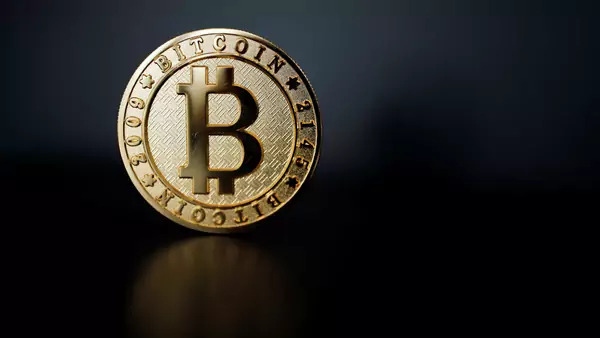 In order to deter terrorists from seeking donations in the form of bitcoin or other cryptocurrencies, U.S. policymakers should coordinate with companies in charge of Bitcoin wallets as well as Blockchain administrators to track purchases, exchanges of Bitcoin to other currencies, and transfers of substantial funds to a Bitcoin account. U.S. representatives at the Financial Action Task Force—an intergovernmental body that combats money laundering and terrorist financing—would be well-poised to do just that. It would also be prudent to develop the ability to flag suspicious Bitcoin addresses, so that authorities can more easily find and prosecute individuals if they engage in terrorist financing or money laundering. The increasing attention in mainstream media to cryptocurrencies as well as the continued improvements towards perfecting transaction anonymity are generating the perfect storm to usher in a new era of terror finance. If the United States is to deter terror funding in the long run, it should take aggressive action to understand the negative potential uses of cryptocurrencies and form regulations to combat their use by illicit actors. Creative Commons: Some rights reserved. This work is licensed under Creative Commons Attribution-NonCommercial-NoDerivatives 4.0 International (CC BY-NC-ND 4.0) License.